Basically the Tentacle is Dan Armstrong Green Ringer with a few value changes. 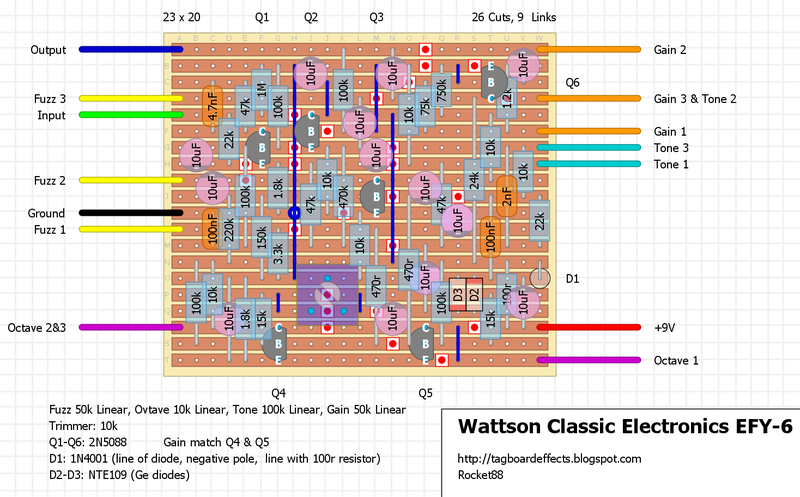 Now for those of you that liked the idea of building a Hoof Reaper, which I mentioned when I posted the layout for the Tone Reaper, the Tentacle should go in between the Hoof and Tone Reaper for the Octave effect. 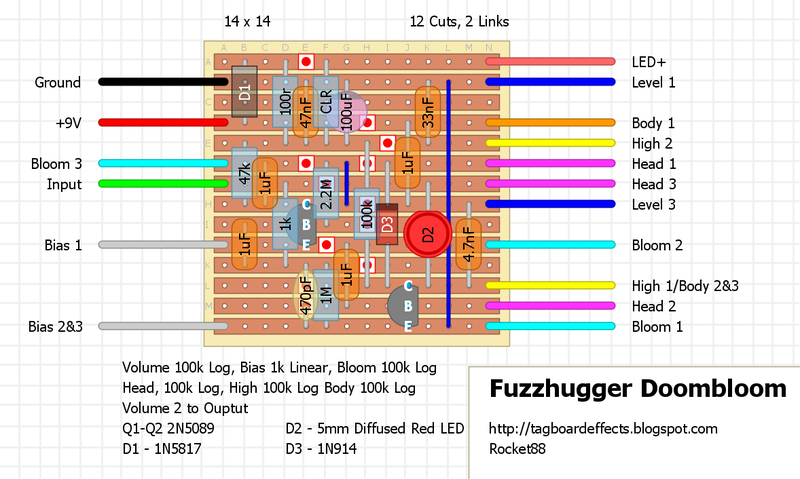 So for all the disciples of fuzz out there, pair this your favorite fuzz for some crazy octave up fuzzy goodness. 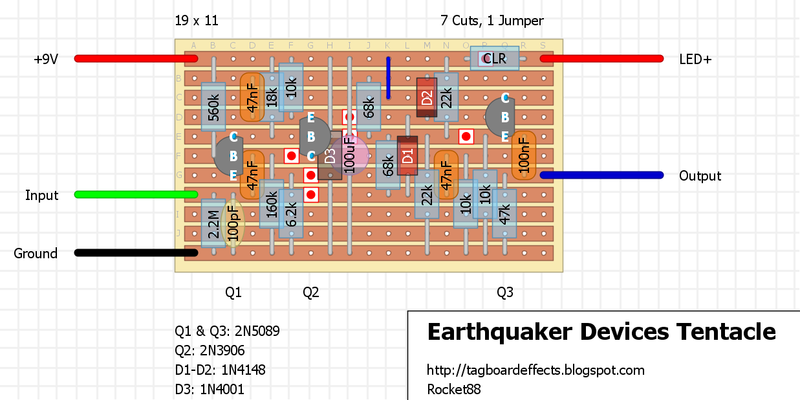 Edit: For those that have built this already based on the original layout upload, flip Q2 so the Emitter is towards +9V and the Collector is towards Ground. 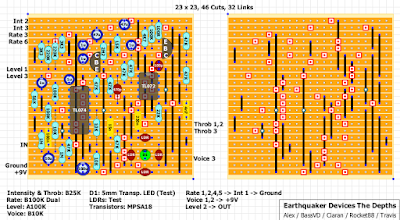 Basically, it's an FY-6 with some extra bells and whistles in a "pedal board friendly" enclosure. The official name is the EFY-6, with "E" meaning "Enhanced". 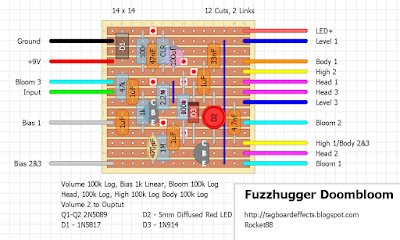 The "Expander" knob has been renamed "Fuzz", and the "Balance" knob has been renamed "Gain", as these more clearly describe what these controls do. We fiddled with the differential amp and worked out a way to be able to adjust the amplitude of half of the cycles coming out of it. Turn it all the way down and voila! No octave step up! Turn it all the way up and it sounds like an original FY-6. In between you can adjust for however much chord smashing synthy overtones you want. This knob is appropriately called "Octave". A cross-fade knob was installed between the mid-scoop filter and the voltage divider that used to be connected to a switch labeled "Tone". You can now blend between the two tone settings. Obviously, this knob is called "Tone". The final stage got a gain boost so that the maximum output signal level is more than 4X the maximum output level of the original FY-6, or more than double the volume. With the knobs set appropriately, it will sound just like an FY-6. Move the "Octave" or "Tone" knobs away from their limits and you can get tones not possible with the original FY-6. 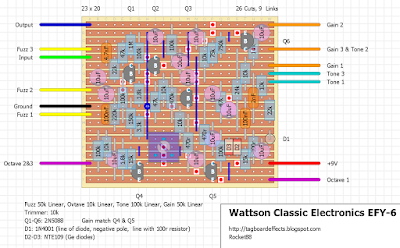 Unfortunately, Wattson Classic Electronics has shutdown, and while they were around they made very few of these. What brought me to find out about this pedal is that the guys of SUNN O)))) have been known to use this pedal. Set the trimmer to get the octave effect. 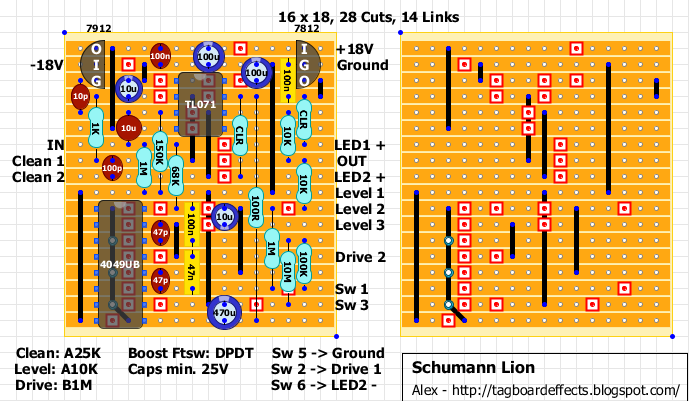 Here is a layout for the rare Schumann Lion distortion. 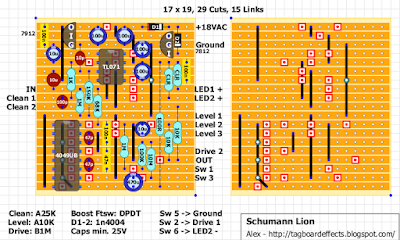 "The LION is a distortion device and a clean booster with two complete circuits that can be mixed independently. 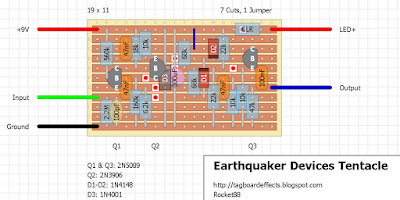 Has a bypass footswitch and boost footswitch that gives extra distortion. 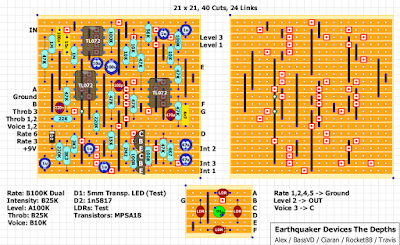 Great for bass -- distortion that doesn't cut out the low end. Great for guitar -- minor chords retain clean harmonics -- you can get great distortion but still hear definition of notes." 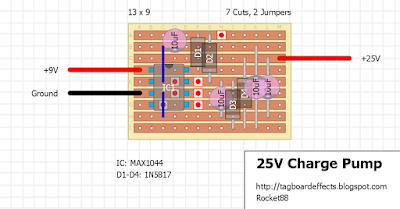 You can find original DIY thread and schematic here. 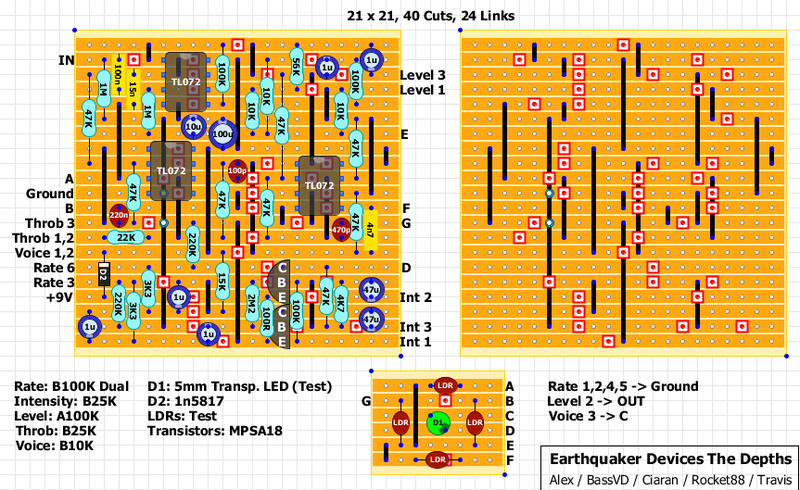 30/11/2017 Layouts Updated! Changed Drive pot to B1M and added 470uF capacitor. "The TAFM was designed for low end heaviness with the ability to cut through a mix, to simply keep your guitar’s pick attack while having a really saturated fuzz-tone or just to have a subtle background fuzz behind your main keyboard sound. the TAFM excels at versatility and fitting in with almost any instrument in almost any musical setting. the thick, gnarly fuzz is perfectly complimented by a slightly gritty clean blend which retains all the low end you’d need… plus more. rough overdrive, howling feedback, clean boost with fuzzy sparkles, even phase-cancelled signals for pseudo octave-up/weird discordance and everything in between." The La Grange pedal is designed to emulate the famous British "Plexi" amplifiers from the mid 60's. The wide variety of controls and switches, give you decades of legendary plexi tones, all the way up to the era of the modded amps from the late 80's and throughout the 90's. 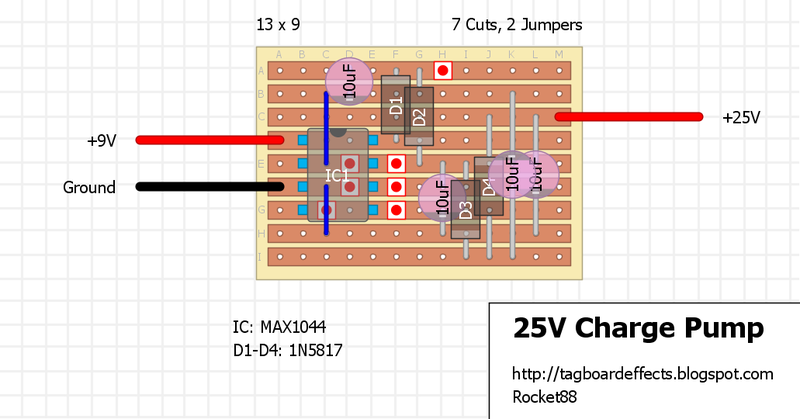 An independent boost function, with a level control, can be activated via it's own foot-switch to be either used as a stand alone boost, or together with the La Grange's main circuitry. 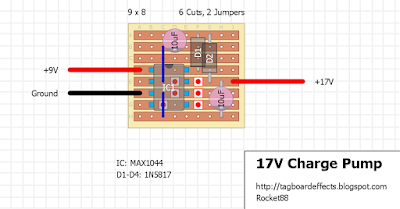 Essentially two independent pedals, with the boost being in series after the La Grange! Reinhold designed the La Grange pedal with an op-amp input, followed by five discrete Class A gain stages and incorporated Germanium diode clipping. 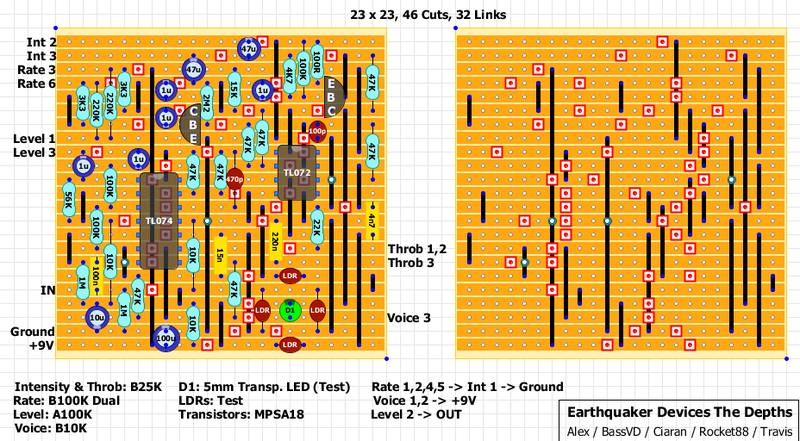 This approach minimizes the input noise floor while retaining touch sensitivity and clarity throughout the entire gain range. You can find the original manual PDF here. 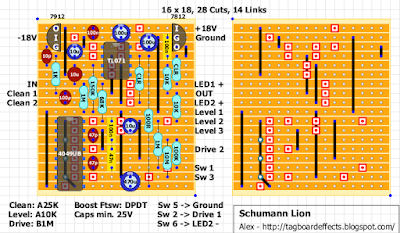 I've used Mark's Dual Effect Offboard wiring. 21/11/2017 Layout Updated! 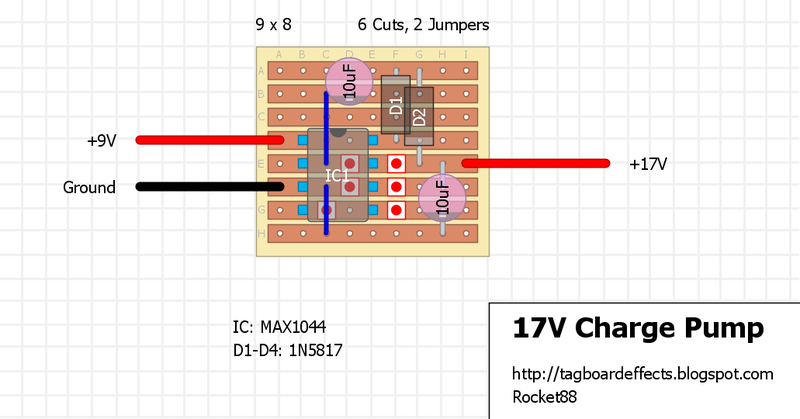 Fixed Boost section based on updated schematic.